OpenVPN® is open-source software that lets the user implement and create virtual private networks; these networks serve as a secure connection between two points, allowing traffic to move unobstructed while remaining private and secure. OpenVPN allows peers to use a pre-shared secret key, certificate, or username and password combination to authenticate traffic and communications. It can also function in multi-client environments, providing each client with an authentication certificate from the server. OpenVPN was first published in 2001 and has become a favorite VPN solution for multiple platforms and device types; OpenVPN functions on Windows, Mac OS X, iOS, Android, and many Linux-style systems. Additionally, OpenVPN has been enhanced and modified for use across different router firmware implementations. To get started installing OpenVPN, you will need a node running on a cloud server, dedicated server, or virtual private server; your operational needs or personal preference can be the deciding factor. When you’ve chosen a node, it will need to have an up-to-date version of CentOS 7 running. CentOS 7 is a popular Linux-style operating system and you can learn more about the CentOS Project on the project website. Additionally, you may choose to use a domain or sub-domain later in this guide. If you’re choosing to use a domain or sub-domain, you may want to set this up before setting up OpenVPN. Once you’ve chosen your cloud, dedicated, or virtual private server node, verified your CentOS 7 installation, and have root access available, you’re ready to begin. As mentioned above, if you are using a domain or sub-domain for this setup, you may want to have that available before walking through the steps to install OpenVPN. Congratulations, you’ve installed OpenVPN on your cloud or dedicated server node running CentOS 7. If you found this guide on how to install OpenVPN helpful, please share it with other users going through the same process. Additionally, check out our other guides and learn more about other options available for your cloud server or dedicated server nodes. CentOS, short for Community Enterprise Operating System, is a Linux distribution that is free, community-supported, and enterprise-class; CentOS is designed to be usable in organizations or enterprises. CentOS 7, the operating system being used in this guide, was released in 2015 and is the current major release of this software. To help manage the different web servers an organization may use that have CentOS installed the CentOS WebPanel was created. Web Panel offers a free control panel that provides easy supervision of dedicated and virtual private servers; Web Panel removes the need for users to use the ssh (secure shell) console for each action, providing a more user-friendly interface with a variety of options. In this guide, we are using CentOS 7, which was first released in August of 2015. You will need a node running on a cloud server or dedicated server, and it needs to have CentOS 7 already installed. Additionally, you will need at least one (1) dedicated IP address and a valid domain name to function as your hostname during the installation. A dedicated IP address is a unique address that is assigned to a single hosting account; using a dedicated address allows you to view the site via the IP address and provides faster response times even during high traffic loads. Once you have a virtual or dedicated installation of CentOS 7, an IP address, and a valid domain name, you’re ready to start installing CentOS WebPanel. The first step to installing Web Panel is verifying that your CentOS 7 installation is updated and running the most recent version of the software. The CentOS Project website provides additional details about current releases, upcoming changes, and release notes; you can verify your CentOS version number with the current release listed on the project website. Wait for the installation to complete, and then it’s time to check the success of your Web Panel install. You can access the control panel at http://SERVER-IP:2030/, replacing “SERVER-IP” with your IP address. Your username will be “root,” and your password will be your selected root password. Congratulations, you’re installed the CentOS 7 WebPanel and are ready to start using your control panel instead of an ssh console. In this guide, we’ve walked through the steps to install the Web Panel on your node running CentOS 7. If you found this guide helpful during the process, please share it with other users walking through the same process. Galera is a shortened name for Galera Cluster, which is a multi-master database cluster that provides synchronous replication for MySQL or MariaDB. With Galera in use, the read and write requests can be directed to different nodes based on need; this allows a node to be compromised or lost without experiencing an interruption in normal operation. Galera provides improvements for high levels of availability in MySQL and MariaDB; Galera manages to offer robust data integrity and performance in ways that previous solutions have failed to accomplish. To get started installing Galera on CentOS 7, you will need to have three nodes that already have Linux CentOS 7 installed, up to date, and running with root access. The nodes you choose can be on a cloud server or a dedicated server, whichever you prefer. Mentioned previously, the first thing to do is to ensure that you have root access to your node and the CentOS 7 operating system. 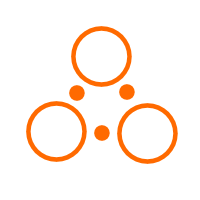 There are changes that need to be made to the second and third node. Congratulations, you’ve successfully completed the installation of Galera on your nodes running CentOS 7. Now you can move your database cluster into production. If you found this tutorial helpful, please share it with other users setting up Galera on CentOS as well. An Apache Virtual Hosts allows multiple websites to run on the same server. If you only have one CentOS 7 server or VPS, this is an efficient way to host multiple sites or domains that are cleanly separated from each other. There is no limit to the number of virtual hosts for the Apache server however you must keep your hardware limitations in mind. For the purpose of this article, we will set up a virtual host for globo.tech on our instance of Apache. We will start with disabling SELinux. This will make testing the setup easier and can be re-enabled later with the proper context to handle the new virtual host. Each virtual host must have its own top-level directory under /var/www. Use the mkdir command to create the directory for globo.tech and the public_html subdirectory. Since this directory is owned by the root user, we will need to specifically grant access rights to Apache. Apache will also need to know where to look for additional *.conf files as each virtual host will have one. Open the main configuration file for Apache at /etc/httpd/httpd.conf and add this line at the end. Now we will create two additional folders enable virtual hosts on the system. One directory will hold all the virtual host files while the other will hold symbolic links for each virtual host published by Apache. Once that is done we can create the *.conf file for the virtual host. In this case, we will create the globo.tech.conf file in /etc/httpd/site-available directory. Remember that we’ve already instructed Apache to look for additional config files at this location. Then we will need to create the symbolic link for globo.tech in the /etc/httpd/sites-enabled directory. After all the above steps have been completed, it is now time to restart Apache. Use this command in order for the server to publish the globo.tech virtual host. If the instructions have been followed completely, you can place your website files in the root document directory of globo.tech at /var/www/globo.tech/public_html. All you need to do is point your browser to the domain name at the server IP to see your virtual host. We hope you have enjoyed learning about setting up an Apache virtual host on CentOS 7. You can always experiment further by adding more sites to your server. If you have found this article useful, please consider sharing it. Cassandra is a reliable, clusterable, highly-scalable database capable of handling large quantities of data on commodity hardware. If you have big data needs, and are looking for a proven open source solution that has received battle testing from many large companies, then Cassandra may be exactly what you’re looking for. If you have a CentOS 7 server, this guide will get you up and running with a single Cassandra node. It will use pre-packaged Cassandra distributions built for CentOS, making installation and upgrades a snap. You can then build it out by performing additional installations on other servers, then clustering the resulting instances for higher scalability and reliability. This article will guide you on how to install Apache Cassandra on CentOS 7 Server. Begin by applying all available patches and security updates to your CentOS 7 server. Cassandra is written in Java. As such, you’ll need the Java VM installed in order to run it. Do so via Yum. Packages for Cassandra are shipped in a Datastax repository. In order to automatically retrieve these packages, and to fetch upgrades in the future, we’ll create this repository so Yum can use it. Now Cassandra is ready to be installed. With Cassandra installed, we must now start the daemon via systemd. The systemd unit is now created. Use “systemctl start cassandra” to launch the new unit. While the database should be running, it is not yet configured to launch on boot. Let’s tell systemd that Cassandra should automatically launch whenever your system boots. Let’s ensure that Cassandra is running using this command. Cassandra ships with a powerful command line utility, cqlsh. Launch it to perform various vital tasks with your database. Likewise, the nodetool command shows the status of your Cassandra node. You now have a fresh Cassandra instance into which you can load large amounts of data. Share this guide with anyone you may know of who is in search of a big data solution, so they too can enjoy the benefits of an easy Cassandra installation. If you found this article helpful, feel free to share it with your friends and let us know in the comments below! Counter-Strike: Global Offensive, also known as “GO” or “CS:GO” for short, is the fourth game in the popular Counter-Strike game series developed by Valve and distributed on its online platform, Steam. Able to run as a console game on Windows, MacOSX, and most recently, Linux, Counter-Strike:GO is a first-person shooter that features brand new maps, characters, and game modes alongside with classic Counter-Strike content. This game is notable for the fact that it allows players to host their own servers, resulting in a high degree of possible gameplay through the ability to introduce individual customization. The high flexibility in gameplay thanks to the personal servers makes Counter-Strike:GO a game that will entertain most people, and can provide a good break from a hard day’s work. If you are interested in setting up your CentOS 7 server to run Counter-Strike: Global Offensive, this guide will show you the necessary steps. Before we can progress to the actual installation and setup process of Counter-Strike:GO for your server, it is good practice to ensure that you have the latest information from the Linux package repository concerning available packages and package versions. Using the default package manager, yum, we can fetch this information first with the command update, before then upgrading the available packages. Make sure your system is up to date by executing these two commands as root to update the information and then upgrade required packages. If you are not the root user, but your current user has superuser privileges, precede both of the following commands (and all further root commands) with the additional command sudo to execute it as root. You may be prompted for the root password when using sudo. With the prerequisites installed, now it is time to create a new user on our system to handle all Steam-related content. Ensure that you are logged in as root or can use sudo, then execute the following two simple commands. The first command will create the new user, while the second will then set the password. In our tutorial, we will name the user “csgo,” but you are free to replace the text below with whichever name you choose. This also applies to the password, which for the case of simplicity we have kept the same as the username. The file downloaded above is a compressed TAR archive that containers the installer for SteamCMD. To be able to access its contents and run the installation script, you will need to unarchive the file using the command tar. By running steamcmd.sh, you will open the terminal shell for SteamCMD. In this command line interface, you must execute the following commands, which will login to Steam as an anonymous user in order to force install Counter-Strike:GO to the /csgo directory. Note that the 740 in the final line refers to the Counter-Strike:GO application and is its identification code for updates. Note that for updating your Counter-Strike:GO server, you will need to run the above commands in SteamCMD from open to exit each time you want to update. The current setup without any further configuration will limit players only to local connections, known as LAN. This means that other players on the same network as you will be able to access the server, but it will be inaccessible to other networks. In order to be able to connect to the Internet and play remotely with other users, you will need to obtain something called a “Game Server Login Token,” or GSLT. This token can only be obtained if you have a Steam account and own the Counter-Strike: Global Offensive game. For more information, you can see Valve’s wiki page, which covers what is needed to play online. It is important to provide the token information to Counter-Strike:GO before the configuration file for the server, as is detailed further on in this tutorial. The reason is that the server.cfg file used for server configuration is executed too late in the startup process for the GLST to be registered, resulting in your server failing during login. Edit this file to have the following contents. You may need to ensure that the directories correspond correctly to your own file structure. Input the following text into the file in order to create the daemon for systemd. Replace the text GSLT_CODE with the actual code of your token. Note again that the game mode and game type have been set. These you are free to modify as you wish according to the instructions following the initial, simple startup script. If you have a firewall running on your server, which is likely as it runs by default for fresh server installations, you will also need to open up some ports so that the Counter-Strike:GO server will be able to be accessed. You have two options at this point: choose to remain with firewalld, or switch to iptables configurations. We recommend sticking with firewalld, as it is the default shipped with CentOS 7. However, those who have previously had experience with iptables may prefer it so we have also provided the instructions for how to configure the firewall. The following lines of code will add the TCP and UDP ports 27015 to your firewall before reloading the firewall. Regardless of whether you choose to remain with firewalld or use iptables, completing this steps will allow connections to be made to your server for remote gameplay. Congratulations on finishing! Having installed and configured the Counter-Strike:GO server on your CentOS 7 slave, you are now free to enjoy the customizable gaming experience! See just what your server can handle and relax a little from a long work day. If this guide was helpful to you, please share it with others who might also be interested in setting up their own Counter-Strike servers.